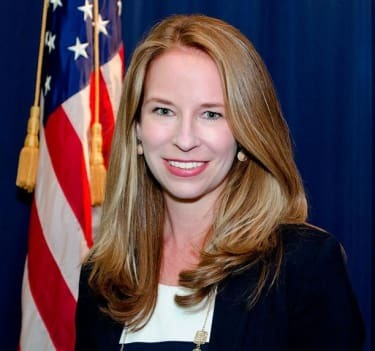 Terrell McSweeny has announced that she will step down on 28 April, the fourth anniversary of her joining the Federal Trade Commission. A few weeks ago, she sat down with GCR USA’s Charles McConnell to reflect on her time at the agency and discuss some important topics affecting antitrust enforcement – including some of the challenges the incoming slate of commissioners will face. You’ve stayed on about six months longer than your term mandated as a commissioner. The commission was set up to have five commissioners, but you and acting chairman Maureen Ohlhausen have said that the FTC has functioned well with just two commissioners, and she always talks about the enforcement being pretty much the same. Could you elaborate a little bit on what that has been like? Any impact on morale? I consider myself incredibly fortunate to have a chance to have served at the Federal Trade Commission in the first all-women commission, and also during this unprecedented period of time in which we’ve had only two commissioners for more than a year. It is a testament to the strength of the staff and the agency that we function very well, even when there are only a few commissioners on the commission. Of course, it is better to have the commission at its full strength and for it to be fully staffed and bipartisan at the commission level. But acting chairman Ohlhausen and I have worked very well together. We have forged a lot of compromises; have been particularly active, especially on the antitrust front. And that’s because our mission to protect consumers and competition is fundamentally a bipartisan mission. You’ve served as commissioner for four years across two very different administrations. Has that mantra of “antitrust is bipartisan” held up in your experience? In general, yes. I think that enforcement, which is incredibly fact-specific, is a very bipartisan process. There are probably some differences in more conservative thinking around the use of the antitrust tools versus more progressive thinking around the use of the antitrust tools. I tend to be – as a progressive – someone who wants to very actively investigate and use all of the tools in the antitrust toolbox. And I think in the Obama administration, the [Department of Justice’s] antitrust division and the Federal Trade Commission did a very good job dusting off some tools that hadn’t been used in a while and applying them, especially in the conduct side. But what we’ve seen so far in the Trump administration is that the antitrust agencies are continuing to be very active and very innovative, and that’s a good thing. Has there been any pressure from the push on Capitol Hill to have more robust enforcement of some of these huge companies that aren’t necessarily violating the antitrust laws but that have gained some attention for their size? I think it’s an exciting time to be in antitrust law, because antitrust as a set of policies is back in the broader policy discussion around what we ought to be doing about economic concentration and income and wealth inequality in our economy more generally. I absolutely think that vigorous antitrust enforcement and stronger tools for the antitrust agencies – and more resources for them – is an important part of dealing with those issues. Those are sort of macroeconomic policy issues, but I think it’s terrific that antitrust is part of that debate. As to whether that policy conversation is somehow applying pressure to the agencies, I don’t think of it quite that way. But the agencies certainly understand that there is a very important dialogue happening about the level of concentration particularly in some industries in the United States, and the impact that that may or may not be having on everything from jobs and labour markets to income and wealth inequality in the United States. This is an area that there is a lot of research underway in right now and that’s really important, and the agencies need to continue to stay abreast of all of those developments. There does seem to be quite a loud and powerful chorus of people who are very adamant about sticking to the consumer welfare standard, and not taking into account a lot of these other issues that are in the Democrats’ “Better Deal” memo and the issues you’ve just been talking about like labour and income inequality. Is there a tension there? How will that tension be resolved? I happen to believe that consumer welfare is the proper North Star for antitrust law enforcement. I don’t think that that limits the antitrust agencies from meaningfully understanding how to use their tools to protect competition. It does mean that there might be some public interest factors that the agencies are not well-equipped to address. For example, there is a healthy debate and conversation about many social goods that people are interested in and outcomes they would like to achieve. It isn’t always the case that the antitrust agencies are able to address all of those issues using the competition tools. And that’s where expert regulators with broader jurisdiction – for example, the Federal Communications Commission – are better situated, because some of them have mandates within the industries that they regulate to achieve public interest goals, and that’s quite appropriate in that context. It’s a little bit harder for antitrust agencies, that are really supposed to be focused on protecting competition in the marketplace and protecting consumers, to also have to take on the mission of addressing a broad range of policy issues. What are your thoughts on the SMARTER [Standard Merger and Acquisition Reviews Through Equal Rules] Act and in general the push by some to align the legal standards that both the agencies have to meet to get an injunction? I know this has been a topic on Capitol Hill and the nomination hearing of the four incoming commissioners. I’m opposed to the SMARTER Act. It is a solution in search of a problem. Practically speaking, the agencies don’t apply different standards, and this kind of legislation has the side effect of creating potentially some confusion, because at the moment the DOJ and the FTC rely on each other’s cases as citations in our briefing. The unintended consequence of trying to address a problem legislatively that doesn’t exist through the SMARTER Act – which is not so smart – would be that it could create some uncertainty that would be unnecessary and even more problematic. Can you talk a little bit about the recent repeal of net neutrality? What do you think the consequences are of no longer having the Open Internet Order? How do you respond to those – even your colleague Maureen – who say the FTC can be the cop on the beat? Despite the repeal, net neutrality does seem to have bipartisan support. Does this open up some sort of legislative solution? I’m opposed to what the Federal Communications Commission has done in rolling back the rules to protect the open internet and net neutrality, because it’s very well-established that when you have powerful vertically integrated companies, especially in highly concentrated markets – which is what the internet service providers are – that some regulation is required in order to address the incentives that exist for them to behave potentially anticompetitvely. This is, for example, not controversial in the energy sector. And, in fact, the Federal Trade Commission last year sent a comment to the Federal Energy Regulatory Commission supporting their regulation that is very similar to the kind of regulation that was contemplated in the Open Internet Order. It is important for expert regulators to draw appropriately tailored regulation and for antitrust agencies and enforcers to be antitrust enforcers. What I’m worried about is there’s a range of conduct here that might be very hard to reach under a rule of reason analysis in antitrust law. Moreover, it will take resources the Federal Trade Commission doesn’t necessarily have, and investigations take a tremendous amount of time. If there are harms to innovators and entrepreneurs, the remedies under antitrust law after an extensive investigation and potentially litigation – so years later – may be inadequate to address the harms that have occurred. In terms of legislation, the optimal outcome would be for the clear rules to be restored. Certainly the Federal Trade Commission has a potentially very large gap in its authority, because common carriers are exempted from the FTC Act. While we have successfully defended using our authority against common carriers when they’re engaged in activities that are not common carriage, it remains a problematic area. That common carrier exemption ought to be totally eliminated from the Federal Trade Commission Act, among other things. I do hope that if there is any legislation that it really does adequately protect net neutrality, consumers, entrepreneurs, innovators and the open internet. Broadly looking toward the future – what do you think about the general direction of the FTC? Any comment on the incoming commissioners and chair? What are some of the immediate hurdles and challenges they face? The Federal Trade Commission in its 104th year is once again at the epicenter of a lot of really important issues. Those include obviously consumer privacy and data protection, competition, whether the competition enforcement agencies – using the tools that they have – have been actually able to adequately address issues of concentration in the broader economy. These are really important and fascinating issues, so the FTC has its work cut out for it. It’s going to need to use all of the tools that it has. It’s going to need to use its ability to study trends in the marketplace, its ability to convene workshops and issue reports. It’s going to need to use its enforcement authorities to bring cases. There is a lot that it will continue to do. I’m very proud of the work that we have been doing over the last four years. But certainly it needs to continue and the agency needs to continue to be very active and very vigorous. That’s the challenge. One of the things that is going to be important is for the incoming commission to make sure that the FTC is adequately resourced. We’re a relatively small agency with a $306 million budget, which is actually small on the federal level, being asked to do a lot – and even more if we are not able to restore proper rules for the open internet. In that atmosphere, it’s really going to be important for Congress and the new commission to make sure this agency has the resources that it needs. And right now I would argue that it is under-resourced. It needs to have the ability to hire more economists, more technologists, more attorneys, and we need to be able to take on all of these assignments and tasks and complete them. Where do you see the intersection of what’s happening now with Facebook, data privacy more generally, antitrust and consumer protection? The allegations that have been reported in the news media involving Facebook and Cambridge Analytica really underscore to me the real gaps in our approach to privacy and consumer protection, among other things, in the United States. My starting point is to think about what are the kinds of rights that consumers need for the digital age. They include not just privacy and data security, but also more rights to and control over their data. This agency, the FTC, has for years called for more transparency around the data broker industry, which is that back-end industry that few of us have very much information about, that compiles profiles of each of us that measure in the hundreds of data points. We need more transparency and we need more accountability for companies that are amassing huge data profiles of consumers and then using them to target them for marketing or whatever else they’re using them for. That’s an area where we need to really pursue legislatively some reforms that would give us more transparency, more authority and more accountability in that industry. A lot of those are consumer protection reforms. Of course, competition enforcement is very important in this area. The Federal Trade Commission should try to understand the extent to which competition in these markets might yield better outcomes for consumers. One of the challenges, though, is the way these markets work: they are dominated by network effects and there’s a huge amount of information asymmetry that’s very hard to remedy between consumers who are sharing their data and the people who are collecting the data and using it. I do worry that competition alone is not really adequate unless we have stronger consumer protection to address some of the concerns that we’re seeing expressed by people’s reaction to these news accounts. What has your experience been interacting with the Antitrust Division? Is there room for better cooperation and harmonisation between the two agencies? Or do they do a pretty good job – both here and putting on that face of US antitrust to the international community? I’m proud to say that I’ve worked at both agencies, and I do think that the antitrust agencies are making a lot of effort to make sure that they are on the same page and speaking with one voice on competition issues. Now of course there are some areas where there are some disagreements. I think that in this administration, for example, I disagree with many of the statements that are being made by the Antitrust Division around intellectual property, standard-essential patents and competition law, and how those things interact. It’s important where there are disagreements for those to be clearly stated. But in general the agencies continue to work well on trying to be on the same page. They’re very different agencies, and their structures are different – the FTC being a bipartisan and independent commission is different than the Antitrust Division, which is within DOJ and that is a design that was intended by Congress. So sometimes it’s good to have competition between competition agencies. In my experience, the agencies do a very good job both engaging internationally, which is very important, but also speaking with one voice internationally. It’s interesting you mentioned intellectual property and standard-essential patents, because that’s one area where the Antitrust Division has been pushing a message, and you don’t necessarily agree with that message. I put out a statement recently that gets into this in a lot more detail, but the main difference is that I believe – and the FTC has a rather extensive record of looking at this issue – that there is a possibility for [patent] hold-up by standard-essential patent owners. The remedy of that is the FRAND requirement, the requirement to license the IP on a fair and reasonable basis. And when those remedies are not being used properly, the competition agencies can be justified in trying to take a look at what is happening there. It’s an area that in general the agencies have been on the same page on, but in the new administration there seem to be some differences emerging. It seems like the Division is taking a much more rigid stance against behavioural remedies, and some people think the challenge against AT&T/Time Warner is unprecedented. Is that in line with the thinking over here? I don’t want to get into commenting on AT&T/Time Warner, since it’s not our case. But a general caution around overly behavioural remedies is something that both agencies have shared for a very long time. In fact, it’s the Federal Trade Commission’s study of the effectiveness of its own remedies that led it to conclude in the late ’90s that structural remedies were better and should be pursued more often than behavioural remedies, and that’s entirely appropriate. I don’t see an emphasis on structural remedies and concern over behavioural remedies as a difference between the two agencies at all. When you look back on it all, what have been your highlights at the commission? Any regrets? Well, no regrets; lots of highlights. It’s a wonderful agency, and being commissioner is an extraordinary privilege. One of the highlights for sure is getting to work with the amazing staff here at the Federal Trade Commission who have taught me so many things, so that is always fabulous. I’m proud of the work that we’ve done; we’ve brought good cases. It was terrific to be part of the first all-women FTC, which was pretty remarkable. And I’m proud of the fact that we worked hard in this period of time to really expand the role of technologists and research in the work that we’re doing. We put out a number of reports identifying some of the changes and trends in the marketplace that are driven by technology. I’m proud of the fact that one of the commitments that I made was to try to work more closely with the hacker community on data security cases, and the agency has been able to do that – and that partnership has been really important. When I think about the work that we’ve done, the year I joined was the 100th anniversary of the FTC, and it was about taking this institution that has been so important over 100 years and trying to think about the ways in which it needed to continue to evolve to keep pace with a rapidly changing marketplace. We made a lot of progress on that, but of course the change is still happening in the markets and the FTC has got a lot of pressure on it to keep pace. It’s perfectly capable of doing that, but it’s going to need to continue to work actively in order to do it.